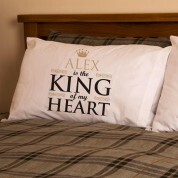 A pair of personalised pillowcases make a wonderful home gift for couples. 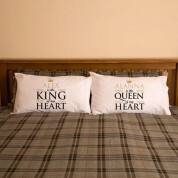 The his and hers pillowcase set makes a fun gift to celebrate an engagement, wedding, an anniversary (the 2nd wedding anniversary is cotton) or for your own bed. They both have a gold crown at the top along with his or her name and then 'is the King of my Heart' or 'is the Queen of my heart' text. 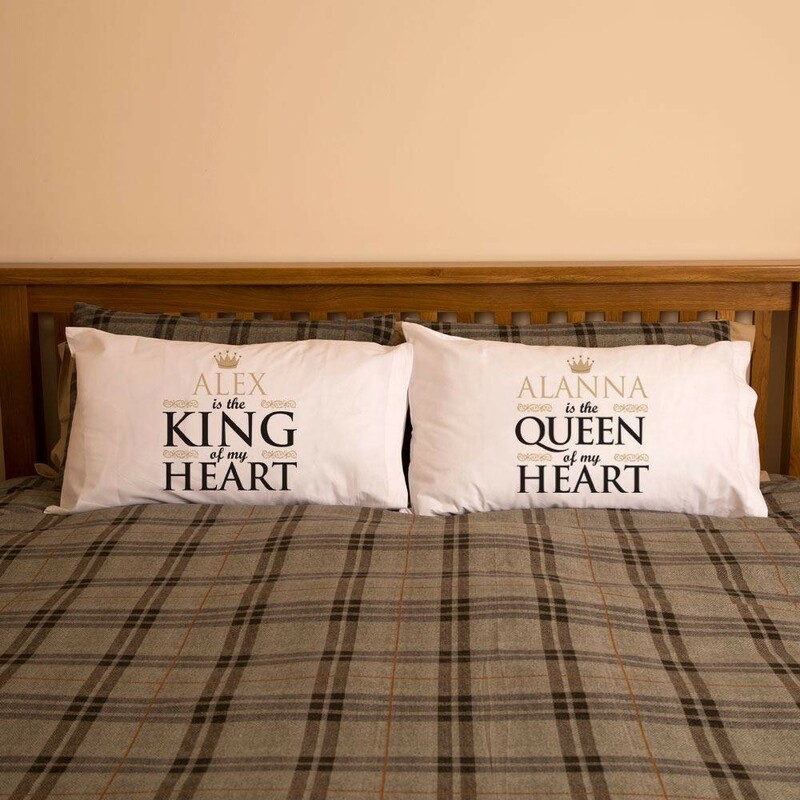 The white crisp pillowcases with the gold design will look classy in any couples bedroom and will tie in with any colour scheme. Colour: White. Dimensions: 50cm x 75cm.